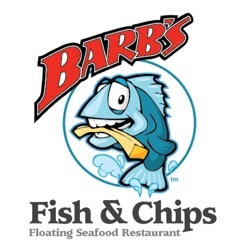 Get the Barbs Fish & Chips app to easily order ahead your favourite food for pickup. Simply browse our menu, choose your items, modify as in real life and place your order. Save your favourites, get notifications when your food is ready or for specials. -	Access our complete menu (photos, descriptions, dietary information). -	Modify your order and place very specific combinations. -	Quickly reorder your previous order in just a few clicks. -	Create a list of your saved favourites for quick & easy ordering. -	Place future orders in advance. -	Order and Pay using a saved credit/debit card (support for all major credit and debit cards). -	Get Notified – when your order is ready, on specials and other events. -	Express Pickup just for YOU!